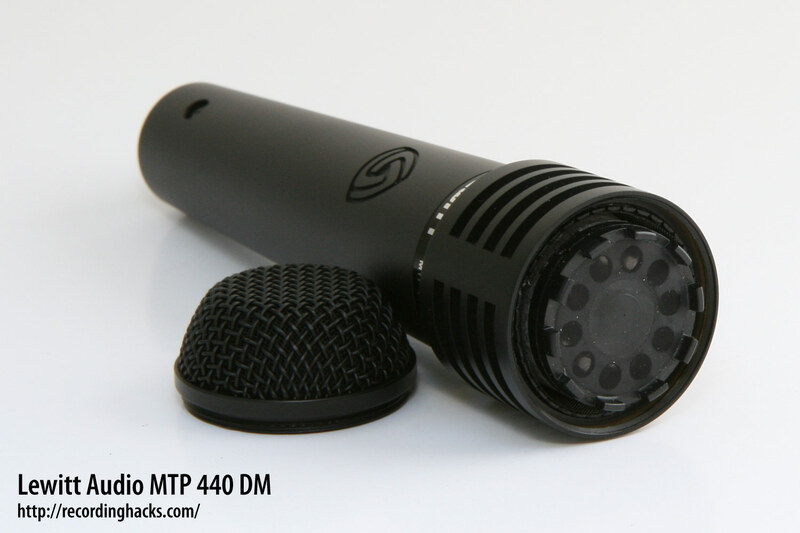 The MTP 440 DM is an end-address dynamic microphone intended for live instrument reproduction. It has a fixed Cardioid pickup pattern that is maintained from 500Hz to 4kHz, becoming more omnidirectional at lower frequencies and more hypercardioid at higher frequencies. 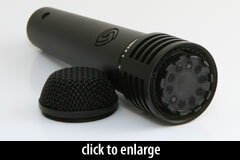 The mic’s frequency response is nominally flat from 100Hz to 2kHz, with a 2–4dB presence peak from 3–15kHz. The high-frequency response drops rapidly above 15kHz. The mic ships in a padded cardboard box, with a mic clip (Lewitt p/n MTP 40 MCs) and a leather storage pouch (p/n DTP 40 Lb).